Cyberbullying in Australia is rampant, with one in eight Australians experiencing Cyberbullying at some point in their life. As the second most common form of bullying across the country, bullies are able to break down the barrier between what used to be safe and unsafe, and can now follow and taunt their victims regardless of where they are. Cyberbullying is regarded as any type of bullying that’s made possible through the use of technology. This means that any form of teasing and harassment that takes place via social media, blogs, websites, online forums, or via email and text messages is regarded as cyberbullying. This form of bullying is particularly dangerous, as it allows people to hide behind fake Facebook accounts or their computer screens, as they no longer have to look their victim in the eye when they taunt or harass them. Unfortunately, a lot of cyberbullying victims start to doubt themselves. It’s very common for them to feel like they must somehow deserve to be treated in this way, lowering their self-confidence and causing depression, and in severe cases even self-harm and suicide. A lot of bullying victims are also too scared to speak up, with their friends and family not necessarily knowing that anything is wrong. 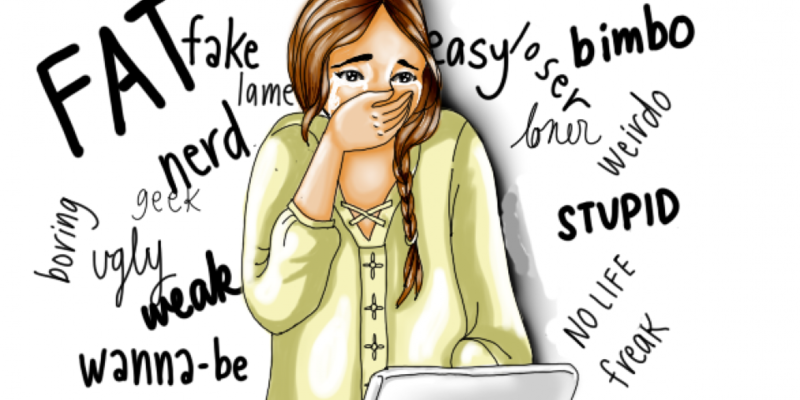 Why Has Cyberbullying Become Such a Huge Issue? With the prevalence of technology and our ever-growing reliance on social media has come an increase in bullying rates. The average Australian owns at least three devices, which can include mobile phones, laptops, desktop computers and even tablets, all of which can be used to disseminate harmful and threatening messages both on a small and large scale. However, it’s also important to note that everything shared or posted online, whether in a private forum or publicly, can be traced back to the individual who posted it and even when messages, videos, photos or websites are deleted, they’re still out there and can be easily found by someone who knows what they’re doing. This means that there is hope for victims of cyberbullying, as perpetrators aren’t always exempt from the law. What Are the Laws Surrounding Cyberbullying? Much like any form of bullying that takes places in the schoolyard, the office or even at sporting clubs or within families, not all cyberbullying is illegal. However, there are laws in place to protect individuals from severe harassment and online bullying behaviour. Under the Criminal Code Act 1995 it’s an offence to use the Internet, social media or a telephone to menace, harass or cause offence. The harshest penalty for this is up to three years imprisonment and a fine of $30,000 or more. Australia also has laws in place to help combat the prevalence of online stalking. Legislation varies between states and territories, but it relates to a persistent course of conduct by a person against a victim, with the intention of making them feel scared, uncomfortable, offended or harassed. This can take place online or via text messages. It’s best to contact your local authorities to find out what the rules are in your locale. If you’re the victim of cyberbullying, or you’re worried that someone close to you is, the following steps can help limit exposure to the bullying, prevent it, or give you a strong case if any legal action is required. If you are being bullied and need support, it is important that you read this fact sheet and go to the Get Help section. If you know or see someone being bullied go to the Supportive Bystander Fact sheet to find out how to help them. At In Depth Investigations, our private detectives in Perth offer services that assist cyberbullying victims to track down those responsible for anonymous bullying, while also assisting in gathering evidence should you decide to take a severe case of cyberbullying to the authorities. Contact our private investigators Perth for more information.